Darjeeling is one of the world’s most sought-after teas, renowned for its delicate jasmine notes and subtle richness. 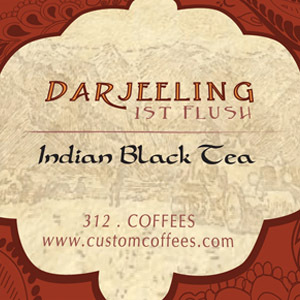 Tempered in cool mountainous climate, Darjeeling flourishes slowly throughout the year. Each season produces a total of four “flushes,” or newly grown tea buds. This product is from the first and second flush. The first flush is delicate; the second flush tastes refined and balanced. Sold loose leaf in 8oz package.